(30.45% of ordinary share capital, 30.09% of preferred share capital and 21.69% of savings share capital. Group Revenues totaled €5.8 billion, up 9.3% over the first quarter of 2011 (€5.3 billion), with a significant year-over-year increase in sales for CNH more than offsetting declines for Iveco and FPT Industrial. Agricultural and Construction Equipment (CNH) posted revenues of €3.8 billion, up 24.8% year-over-year (+19.6% in US dollar terms). Agricultural Equipment sales were up 23% over the first quarter of 2011, with increases in every region excluding Asia Pacific; global market share remained stable for tractors and increased for combines. Construction Equipment registered a 48% increase in turnover, with sales higher in every region and more than double in North America. Global share was up in the light segment, as new products introduced in 2011 continued to be well received by customers. In the heavy segment, share was up in Latin America and in line with the market in all other regions. Trucks and Commercial Vehicles (Iveco) reported revenues of €1.9 billion, a 10.6% decline over the first quarter of 2011 that reflected weaker trading conditions in Europe, in particular Southern Europe. Total deliveries (including buses and special vehicles) decreased 17.8% to 28,259 vehicles, with the light segment down 23.9%, medium down 12.9% and heavy down 8.9%. By region, deliveries were down 26.1% in Western Europe, 6% in Latin America and 12.1% in Eastern Europe. The Powertrain business (FPT Industrial) achieved revenues of €678 million, a 7% decrease reflecting the decline in engines for trucks and commercial vehicles over the prior year. Group trading profit was €435 million, up €158 million (+57%) over the €277 million trading profit for the first quarter of 2011, with margin expansion for CNH driving Group trading margin to 7.5% (5.2% for the first quarter of 2011). CNH recorded another quarter of strong performance with trading profit at €371 million (€213 million for the first quarter of 2011) and trading margin at 9.8% (7.1% for the first quarter of 2011), benefiting from higher volumes, and improved product mix and pricing. Iveco closed the first quarter with a trading profit of €64 million (€71 million for the first quarter of 2011). The impact of volume declines was largely offset by production reorganization initiatives implemented in 2011, resulting in a 3.4% trading margin, in line with the first quarter of 2011 (3.3%). FPT Industrial reported trading profit of €14 million (trading margin: 2.1%), compared to €3 million (trading margin: 0.4%) for the same period in 2011. The improvement over the prior year mainly reflects the absence of certain one-off costs recognized in the first quarter of 2011 relating to production start-ups, as well as efficiencies achieved in the first quarter of 2012. The Group closed the first quarter with operating profit of €435 million (€277 million for the first quarter of 2011), reflecting the €158 million improvement in trading profit over the prior year. Gains/(losses) on the disposal of investments totaled zero. For the first quarter of 2011, there was a net gain of €20 million, which included the accounting impact of the acquisition of 100% control in Case New Holland Construction Equipment India Private Limited (previously a joint venture). Restructuring costs totaled zero, compared to €20 million for the first quarter of 2011 related primarily to Iveco. Net financial expense totaled €115 million for the quarter, compared to €111 million for the same period in 2011, mainly reflecting negative foreign exchange impacts. Investment income totaled €20 million, compared to €26 million for the first quarter of 2011, primarily as a result of a decrease in results for joint venture companies. Profit before taxes was €340 million compared with €192 million for the first quarter of 2011. The increase reflects the improved operating result (+€158 million), which was partially offset by lower income from investments (-€6 million) and higher net financial expense (+€4 million). Income taxes totaled €133 million (€78 million for the first quarter of 2011), mainly related to taxable income of companies operating outside Italy and employment-related taxes (IRAP) in Italy (€6 million). The effective tax rate of 39% is in line with expectations for the full year. Net profit was €207 million compared to €114 million for the first quarter of 2011. Profit attributable to the owners of the parent in the first quarter of 2012 was €182 million, compared with €107 million for the same period in 2011. 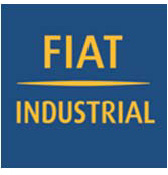 Equity attributable to owners of the parent of Fiat Industrial at March 31, 2012 amounted to €4,656 million against €4,555 million at December 31, 2011. At March 31, 2012, consolidated net debt totaled €15,428 million, up €879 million from €14,549 million at 31 December 2011. Excluding positive currency translation differences (approximately €220 million), the increase in the first three months of the year was attributable to the net cash outflow from operating activities and increases in the loan portfolios of financial services companies, as well as capital expenditure for the period. (1)	Includes the fair value of derivative financial instruments.